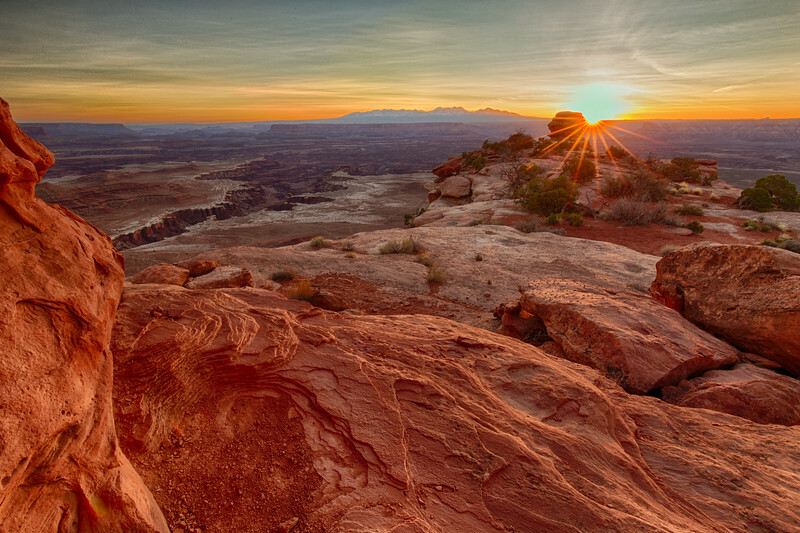 Sunrise at the White Rim overlook, with the snowy La Sal Mountains in the background. From this vantage point it's 1400 feet down to the "White Rim"...and hundreds of more feet from there down to the Colorado River. Canyons upon canyons upon canyons...beautiful wild country.